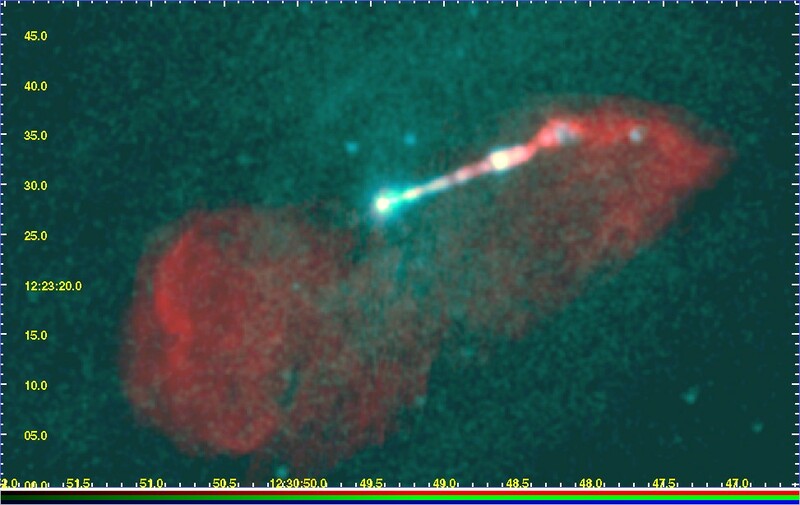 The electrical nature of the first "galactic jet" observed by Curtis in 1918 has been confirmed once again. 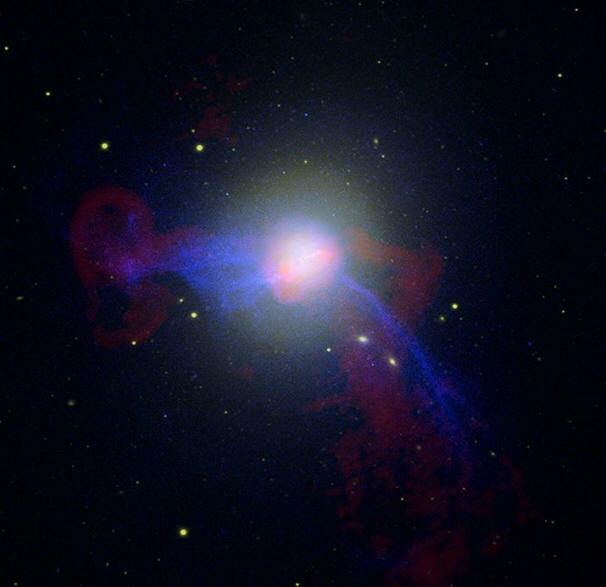 Recent Chandra X-ray Observatory composite images of M87, a large active galaxy in the Virgo Cluster, have revealed the braided, filamentary nature of its "jet." Such braiding is the signature of Birkeland currents in space. Electromagnetic forces pinch the current channels into long filaments in defiance of gravity and gas laws. Multiple currents attract each other when they are far apart but repel each other when they are close, resulting in pairs of filaments spiraling around their common axis. This process can repeat, producing "cables" of pairs of pairs and so on. The cables are efficient carriers of electrical energy over long distances. For example, the long filament to the lower right is over 100,000 light-years long. Strong electrical fields in such galactic sized currents accelerate charge carriers to near light speed. The galaxy's magnetic field causes them to emit synchrotron radiation from radio frequencies to x-ray frequencies. With modern instruments such as radio and x-ray telescopes, we can now "see" that galaxies are much larger and more active objects than we imagined when all we could see were the tiny spots of light that our unaided eyes could detect.